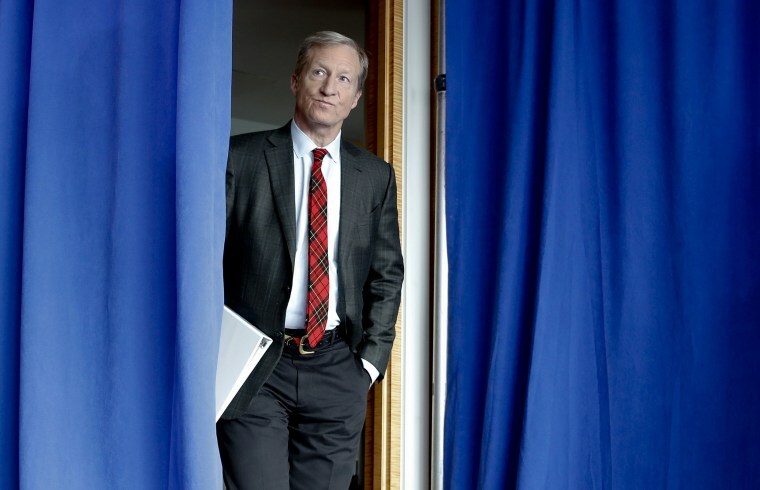 2020:Tom Steyer is accusing Nancy Pelosi of “normalizing” Trump by avoiding impeachment talk. Our NBC News team writes that Republicans are hoping to keep Trump on the trail for midterms and keep Senate Democrats from campaigning by scheduling judicial nominee votes. The Washington Post takes a look at female candidates who aren’t playing it safe. Trump claims that Robert Mueller’s team is “meddling” in the midterms. CA-GOV: Are sanctuary cities a winning issue for California Republicans? Not necessarily, writes the Sacramento Bee. MT-SEN: Nearly 100,000 voters have already voted in Montana’s primary election. TN-SEN: The Washington Post reports that Marsha Blackburn’s embrace of Donald Trump is giving her some trouble with female voters in the state. Trump is set to campaign with Blackburn today. VA-5: Rep. Tom Garrett says he won’t seek reelection after all, saying that he’s prioritizing treatment for alcoholism. Party leaders will choose his replacement on the ballot. One Republican has already announced his intention to seek the seat. WI-GOV: Wisconsin Democrats say they’re poised to get their candidate (whoever it may be) ready to face Scott Walker. The Washington Post writes that Trump has effectively been performing the roles of several senior staffers, calling the shots himself. The president is blaming Democrats for his administration’s policy of separating families at the border. The New York Times notes how Trump uses conspiracy theories to erode trust in institutions and the press. Trump’s approach to national security and economic issues is completely bewildering U.S. allies, writes the Washington Post. The president will meet with Japanese leader Shinzo Abe. POLITICO looks at how Wilbur Ross has been marginalized in recent trade talks.